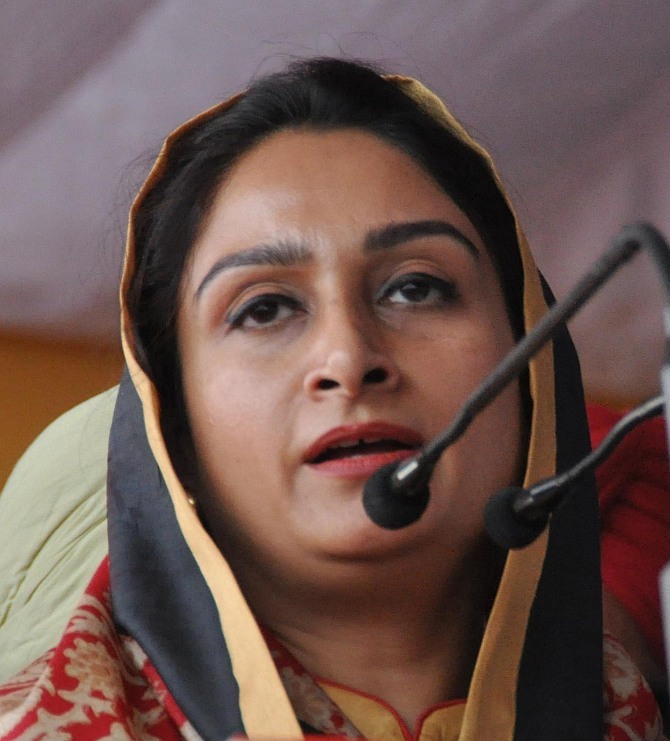 The ruling Shiromani Akali Dal-Bharatiya Janata Party combine in Punjab will create history again by winning the assembly elections for the third consecutive time next year on a development agenda, Union Minister Harsimrat Kaur Badal has said. The minister for food processing industries and SAD MP from Bathinda said the alliance will be voted back because it had worked hard for the future of the state on an agenda of “development, development and yet more development”. “The SAD-BJP government in Punjab created history in the last elections by bringing in a government second time, where a sitting government had never been voted back into power. Not only were we voted back but we were voted back with a bigger majority than what we had come in with the first,” said the daughter-in-law of Punjab Chief Minister Parkash Singh Badal. Punjab is scheduled for polls in January-February 2017 and the Aam Aadmi Party has jumped into the fray besides SAD-BJP’s traditional rival Congress. She added: “The World Bank has ranked Punjab as the best destination in ease of starting up a new business...Take any sector, in education -- we were 14th when we took over, today we are 2nd in the country. She said Punjab is the only state where water and electricity for farming is given absolutely free of cost, which is a huge support to farmers. “These kind of concessions have only been given in Punjab whenever an Akali Dal government comes in,” she said. The minister was on a three-day visit to the United Kingdom to promote India as a destination for food processing. She held talks with all the top UK retail chains including Sainsbury’s, Marks & Spencer, Tesco, Partridges, Waitrose, Holland & Barrett and Harrods. Will Punjab slip back into militancy?